When you find yourself needing data recovery services because your backups failed or worse you didn’t back up at all. You need to determine what to do next. We have heard a myriad of times here at Data Recovery Cincinnati, “I have been meaning to backup but didn’t get around to it”, or “we were doing daily backups but suddenly realized they failed”. These are the most common responses we hear when a customer calls. Not all is lost, Data Recovery Cincinnati LLC is here to help. After determining what documents you have and what critical documents are missing. 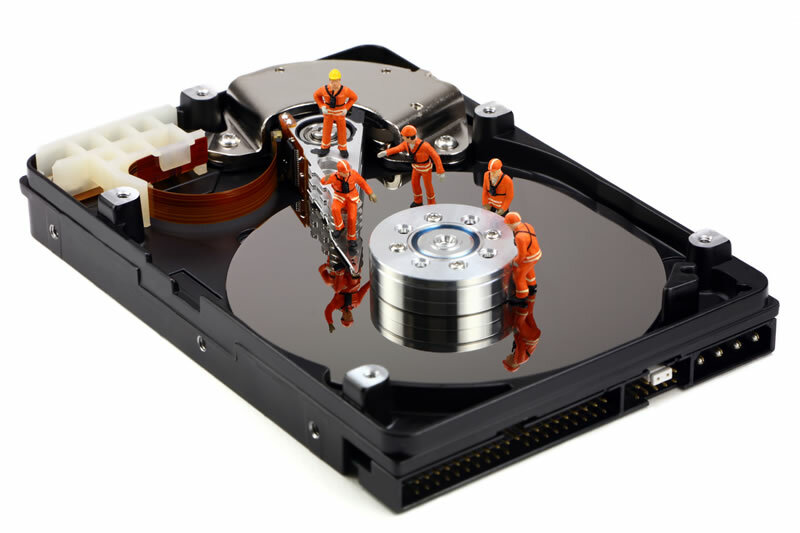 Now is the time to determine who to contact for data recovery services. We’ll be the first to say that not all data recovery organizations are created equal. So, hopefully, this article will help you when deciding after making several phone calls and talking with an actual person on who to choose for your data recovery needs. Initially, after doing a lot of online research, arm yourself with knowledge and a list of questions to ask as you make your phone calls. Is the company easy to contact via phone or are they just an anonymous group that only deals with email or chat? How easy are they to get a hold of when calling? Yes, they may have a phone number but do they actually answer the phone after a few rings? Then you may find a telemarketing group who will call you back. Seems a little odd but this practice is out there with some data recovery firms. The smaller data recovery firms will utilize this approach, not the larger firms. The larger data recovery services out there can pay to have a staff. That should tell you a lot just from that approach. Secondly, ask if they are a local company. Having someone you can meet in person is a huge factor especially when they may be extracting the data for your business. It’s a big relief to know that you can always pick up the phone or have them deliver the recovered data to your office if needed. We at Data Recovery Cincinnati LLC utilize this approach for our local customers. Another tactic to consider when choosing your data recovery services provider are the fees and embedded costs. I personally find it annoying that some smaller data recovery groups will charge a fee for diagnostic and partial recoveries. We charge no diagnostic fee and do not charge full invoice price for partial recoveries. If a data recovery services provider does this tactic keep looking!! Why pay full price for a 50% recovery when the partial recovery was not what you needed to begin with. The larger more legitimate data recovery firms will not use this approach. Trust me when I say this, there are a lot of shady data recovery groups that will make their money on fees with no data provided back to you. In conclusion, when determining who to contact for data recovery services you must at least look at the following: 1. Are they easy to contact and communicate with? If not, keep looking. 2. Are they local to you? If not, not all is completely lost and data recovery services providers are not in every city. But try to fully determine if they can meet you in person. That is worth its weight in gold. 3. What fees will they charge? Most importantly, will they charge a fee for a partial recovery? Hopefully not a full invoice fee? If they can’t answer that questions honestly and clearly, keep looking. When you find yourself needing data recovery services because your backups failed or worse you didn’t back up at all. You need to contact data recovery cincinnati!